Our research shows that in all industries at all role levels, the average performer is 57% self-aware while top performers are 89-90% self-aware. – Jay Niblick, President, Innermetrix, Inc.
To attain peak organizational performance, it is necessary to find practical ways to accurately assess, develop and retain top people. You need to have the right people in the right positions, doing the right things for the right reasons. The Attribute Index™ is a personal assessment tool that provides information about how a person thinks and makes decisions—what natural talents he or she possesses. By understanding the way in which a person thinks, it becomes possible to leverage that knowledge to make better decisions, maximize strengths, minimize weaknesses and achieve greater results, personally and organizationally. The DISC Index™ measures a person’s natural and adaptive behavioral styles, which is crucial when working with team members, as a leader or manager, or in an environment that requires conflict resolution. By understanding how you prefer to behave, you are able to better align your environment, and select the work that ensures more meaning and success, while producing less stress. The Values Index™ delivers the most comprehensive understanding of a person’s value or motivational structure. Understanding what really motivates or drives a person is a crucial part of success. It is this understanding that helps ensure that optimal motivation, passion and drive are created, which results in the highest levels of personal and professional success. 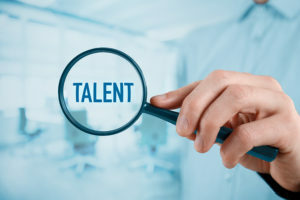 More information about talent assessments for individuals. Achieving success in today’s uncertain business environment has never been a bigger challenge. Constant change, new rules and regulations, increasing customer demands and an array of other issues make it hard to know where to start. We have found that management success depends on how well your organization is aligned with your goals, values, workforce, customers and other important factors. Get on the right track to a more effective organization with our powerful assessment tools. Give Janet Treer a call or click.